A reproduction topper piece for Sega’s Eighteen Wheeler. 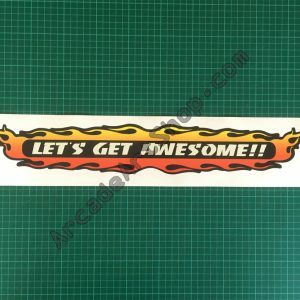 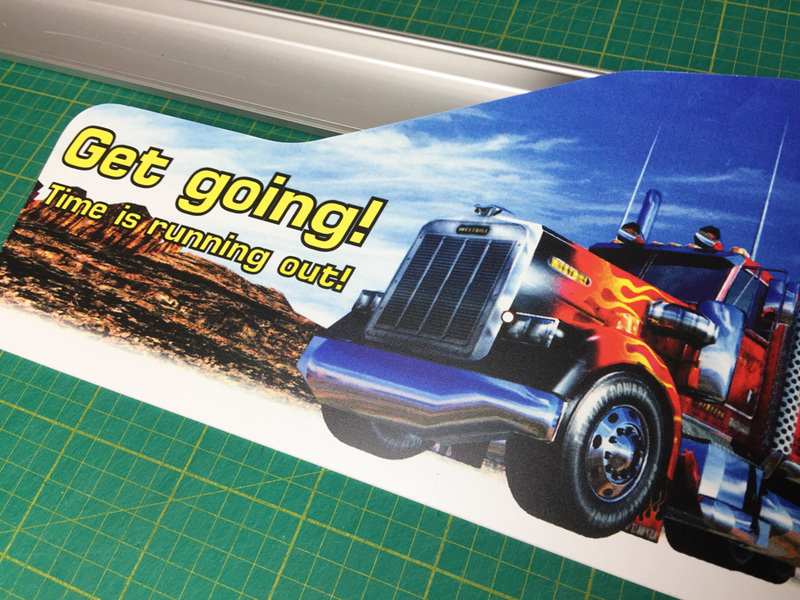 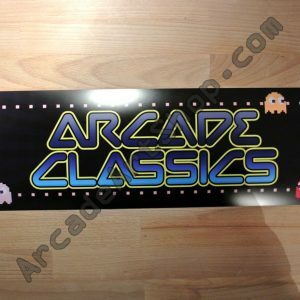 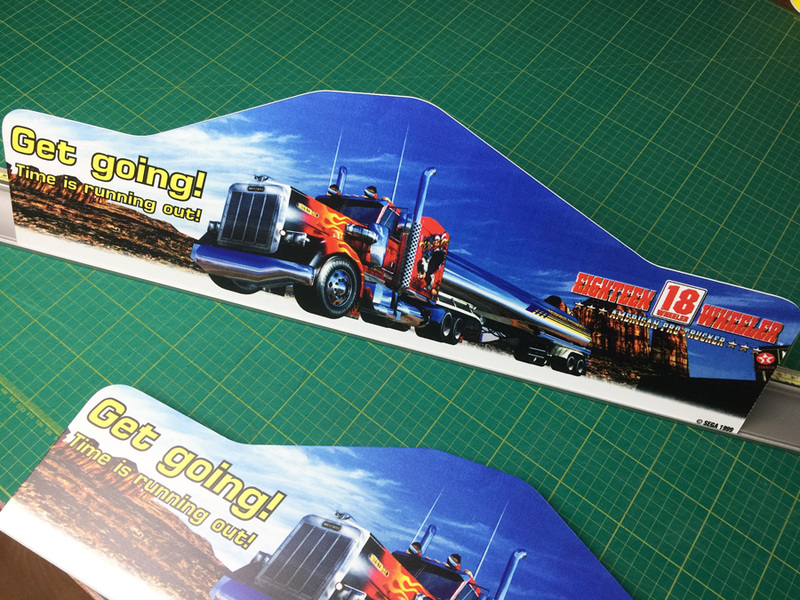 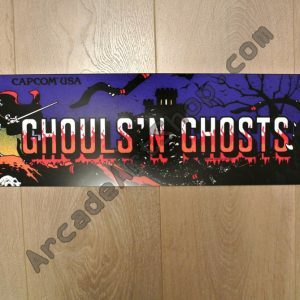 Direct printed on to 1mm pvc and die-cut to match the shape of the original. 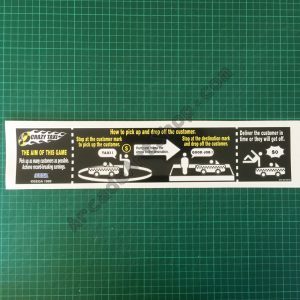 To mount to your cabinet you may need to purchase an angle bracket or similar, easily found in any hardware store. 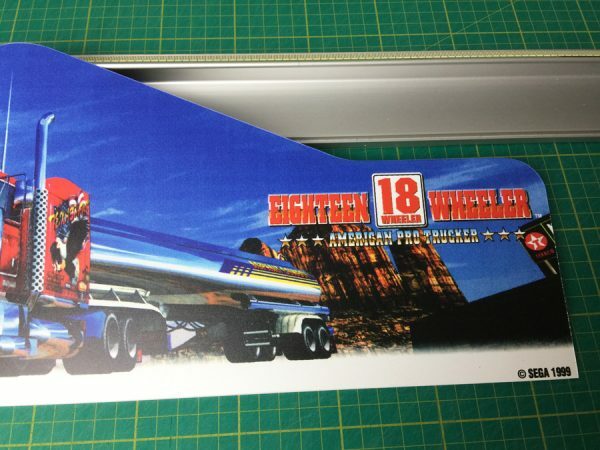 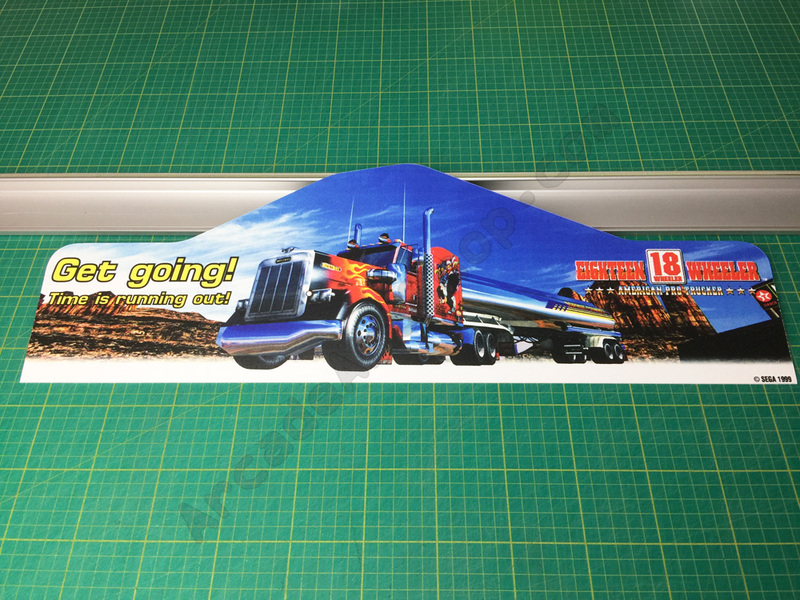 A reproduction topper piece for Sega’s 18 Wheeler.